DESCRIPTION: This may be one of the most beautiful and historically important relics we have ever had the honor to offer. 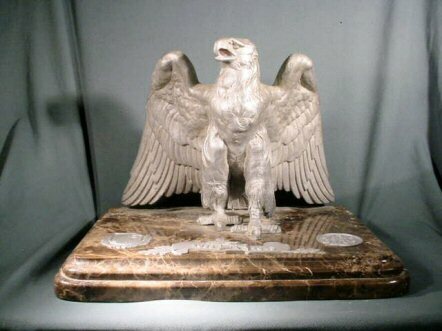 It is an incredibly huge and very heavy eagle in metal, mounted on a wonderful plinth of Bavarian marble that is of rich, brown-textured natural stone. 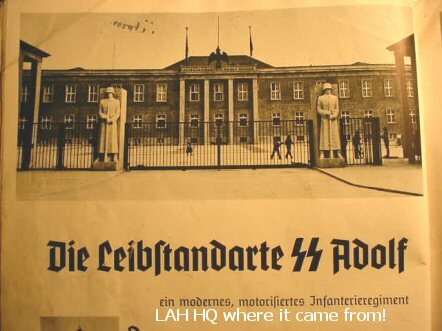 This is the actual decorative presentation that one would first observe when entering the front foyer of the headquarters of the LAH at Berlin Lichterfelde. 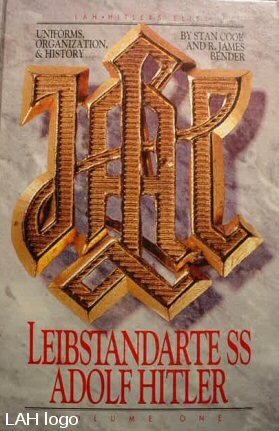 This was the elite Standarte that was the unit declared by Sepp Dietrich to be responsible to Adolf Hitler, alone. This declaration was made on November 4, 1933. 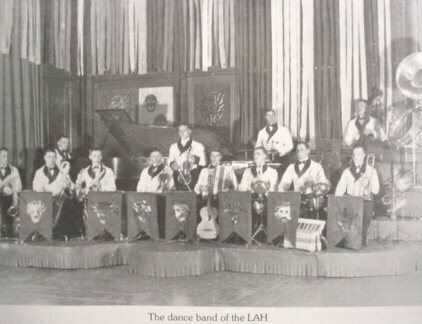 In April 1933, the LAH moved into the former main cadet institute in the southern area of Berlin. 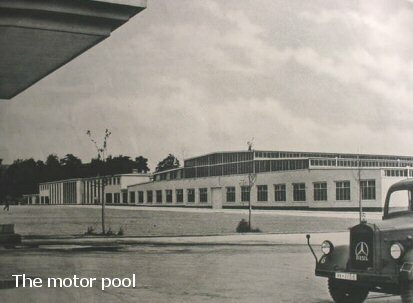 This awesome group of buildings remained the headquarters of this elite guard unit until 1945. Under the occupation, the buildings were taken over by the U.S. Army and renamed Andrews Barracks. It was at this time that a German gentleman, who was working on the renovation of the building, discovered many articles that were loose or in packing crates in the basement. There was an order from Army Command to clean out the entire basement to get it ready to become a recreation facility for GI’s. This enterprising worker sorted out many things that he thought might be of value and they went into the back of his truck and into his basement in a suburb of Berlin. 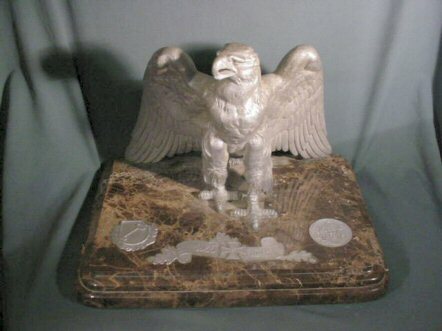 Here also sat several large plaques mentioned elsewhere on our site, and this magnificent eagle. He did not dare show these items to anyone for 50-some years, but when Germany became one again, he decided to sell the items and now we are able to offer this great relic of the to the collecting public. 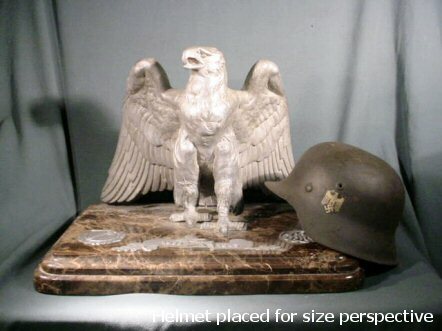 The eagle and base are massive. 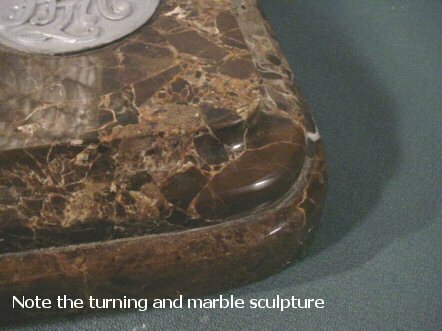 The fine sculptured marble base is 21 ½ x 14 ½ inches. 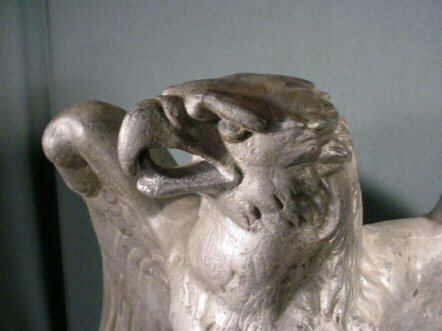 The height of the sculpture is 13 inches and the measurement from wingtip to wingtip is 17 inches. I would guess the weight at about 85 or 90 pounds. The round plaques embedded into the plinth show the original LAH in entwined, lettered cipher adopted in 1934 as the official insignia of the corps. 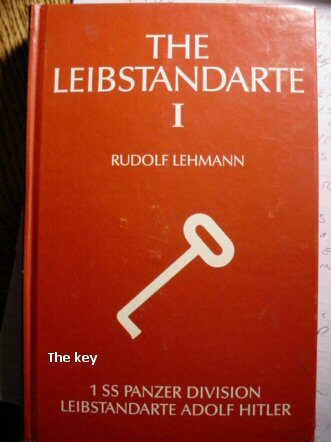 On the left side is the famous key. Both of these round pieces are of the vehicle-marking style. The first used in 1934-1938, and the key design shown in this form was used from 1942-1943. There is also a scroll in the center between the round plaques with the Iron Cross and dates 1933-1943. 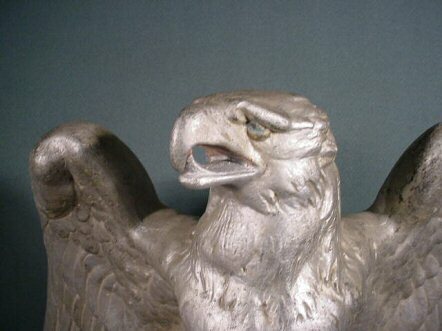 The later date probably denotes when the eagle was placed at Lichterfelde. This may have been the decoration of the Motor Standarte section. 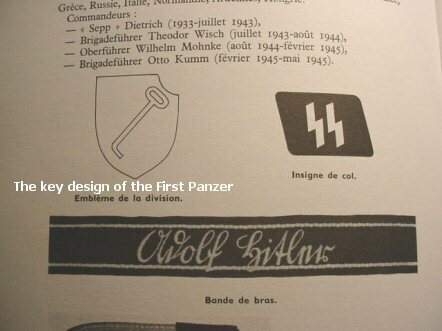 The key design was the vehicle marking of the first Panzer Korps “Leibstandarte”. 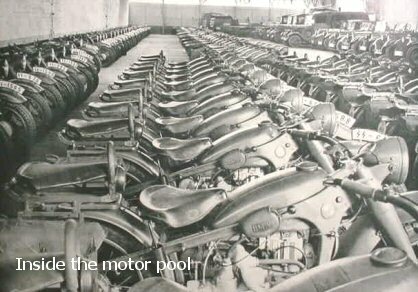 There was a motorized section that was certainly the pride of the and the Reich! 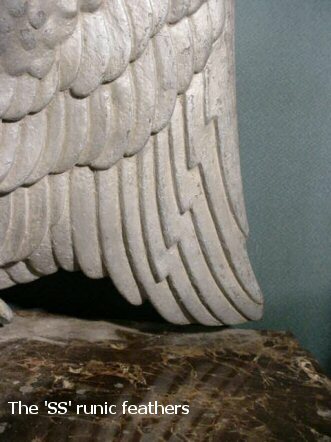 The most interesting and utterly fascinating thing that we have discovered about the eagle sculpture itself is the fact that in almost every art object of the Schutzstaffel, one can almost always see the double-runic design of ‘S’ runes that indicate . Here is the subtle secret. 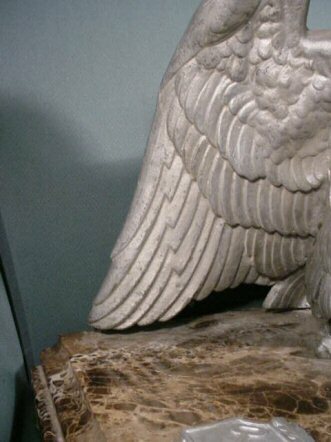 Note: the configuration of the eagle’s wing’s feathers. You will readily see the ‘SS’ runic design cleverly infused within the artistic accomplishment. 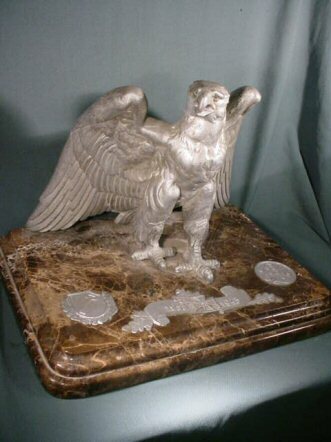 The feathers would never be done this way on a normal Reichsadler (eagle), never! 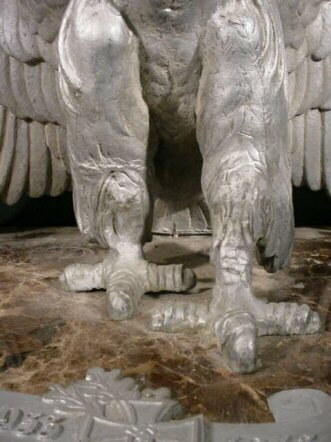 So it is very obvious that the artist, who very well may be none other than Richard Klein*, had designed this bird for the -LAH and them, alone! (possibly for the motor standard). 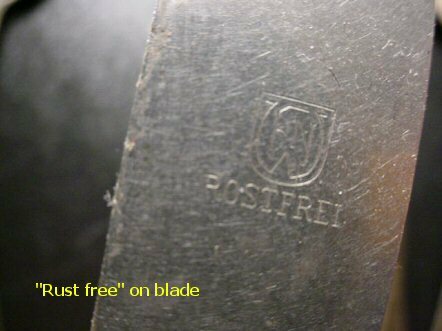 Most of the items taken from that Lichterfelde basement showed that they had some type of preservative paint applied to them (for storage purposes?). We have left them as is for genuine historic reality reasons. They do look fine, however. This is possibly the most dramatic art object we have ever perceived of the organization. Absolutely stupendous! * Richard Klein, born in Munich in 1890. Among other famous works of this artist: bust of Adolf Hitler; produced the design motif of the art exhibitions in Munich; reliefs for the Reich’s Chancellory; commeratives of the Reichparteitags in Nuremberg, etc. 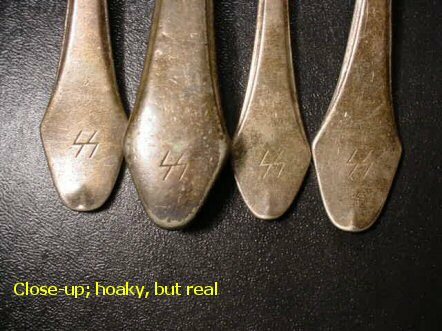 DESCRIPTION: This is a group of Besteck, or tableware, from the Waffen-SS. It is not pretty, but it is genuine WWII period. 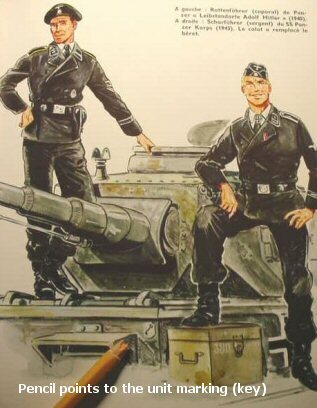 In fact, it’s unpretty to us because Germania has built a reputation in handling the beautiful esoteric items over the years, but because our number one specialty is SS we couldn’t refuse these items. We know the source and we know these four items are 100 percent right. 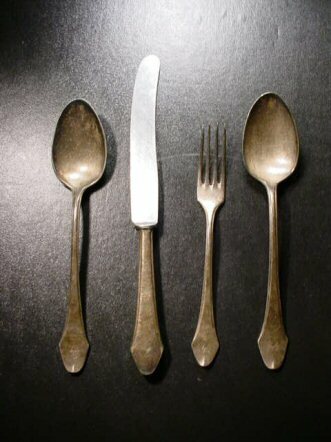 There are two spoons--dinner size, a table knife, and a luncheon fork. They are heavy although not silver. 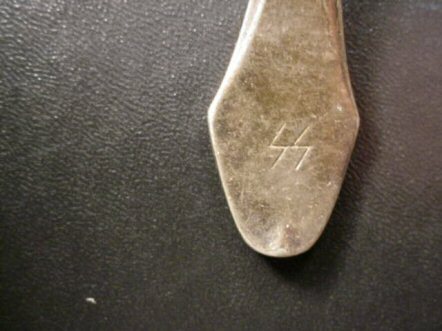 The SS on each tang is hand engraved and we know that this was added by field troops of the Waffen-SS. 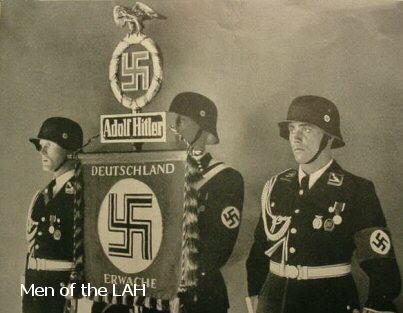 These men were very proud and had the Korpsgeist enough to add their victory runes to all they captured or were given. The whole set is to be sold for what we paid for them.